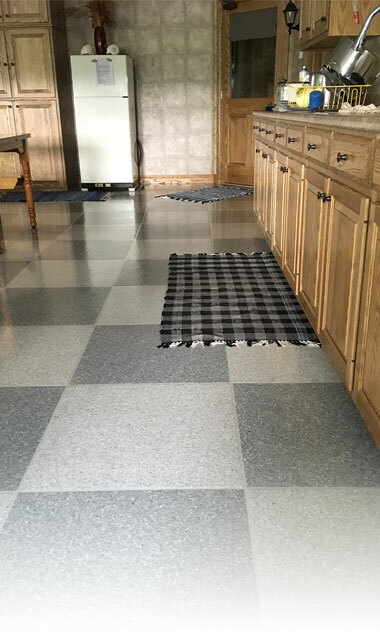 About Us - Ideal Coatings, Inc.	About Us - Ideal Coatings, Inc.
1975 – Ervin Miller started Miller Custom Flooring by selling Dur-A-Flex products. 2000 – Miller Custom Flooring became Ideal Coatings Inc. under the new ownership of Dean Yoder and Ervin Miller, Jr.
2004 – Merle Miller merged his resinous flooring business into Ideal Coatings, Inc. and also became part of the ownership. 2017 – Long time employee, Tim Weaver, assumed ownership of the resinous flooring portion of the business. Today the official company name is Ideal Coatings, LLC.